Description: Nu II: One Plate from Estampes originales, Album A (B. 805; Ba. 956) drypoint, 1956, on Montval, signed in red crayon, numbered 16/20, published by Louis Broder, with wide margins, a deckle edge at the top, in good condition. This was purchased from the Gift Shop at the prestigious Metropolitan Museum Of Art in New York City in August 2004. We have the original purchase receipt from this transaction. 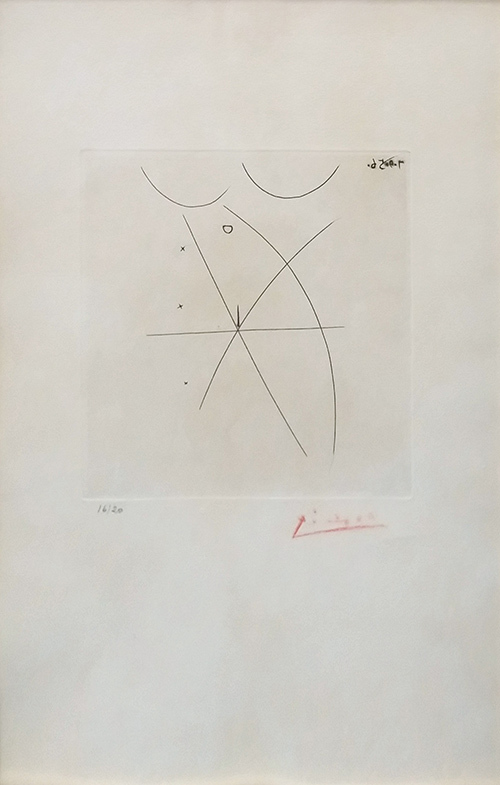 This is a fabulous opportunity to own an original hand signed drypoint by Pablo Picasso, the undisputed genius of the 20th Century.